Today, we’re talking with Magoosh, a self-study option that prides themselves on being affordable and tailored to the individual students needs. Welcome! Could you talk a bit about Magoosh: What’s your philosophy? What type of instruction do you offer? The philosophy behind Magoosh’s online LSAT prep centers around two principles: test prep should be affordable to as many students as possible, and it should accommodate students’ individual learning styles. Our premium product is currently $99 and includes 12-months of access to Magoosh. This means that our prep course costs a fraction of what other “affordable” courses cost. That puts Magoosh LSAT prep within reach for a huge segment of the population whose only other option is buying prep books and teaching themselves. By keeping our prices low, we are addressing a deep-seated problem in the law school community: exclusivity. Magoosh feels that increasing access to law school is the best way to enrich the legal community and promote diversity of thought within the law. Secondly, Magoosh’s LSAT course aims to provide students with a collection of high-quality resources that they can use as they see fit. Some may choose to focus on our lessons in order to learn specific approaches for each question type. Others may benefit more from the video explanations we provide for questions from the official LSAT PrepTests. Still others may find our study schedules or our practice questions the most valuable part of the product. Our course is like a great prep book — it has all the information you need and you can do whatever you want with it — that is constantly updating its material and can respond to your questions. How are you different from other LSAT prep courses? 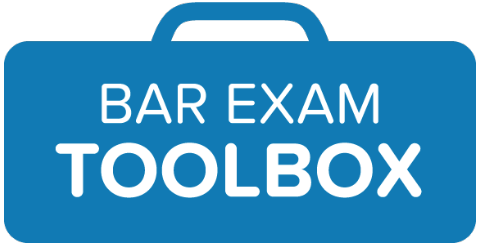 In our experience, most courses adopt an official approach to each section of the LSAT and then mostly stick to it. They train their instructors in that approach and only break out of it in private tutoring or outside the classroom. 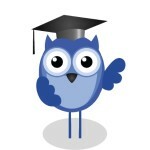 Magoosh LSAT recognizes that different approaches help different students. When we learn a new strategy or a new way of thinking about a particular problem type, we try to incorporate it into our material via blog posts, new video lessons, and answer explanations. This gives our students the chance to find an approach that plays to their strengths, or call upon different strategies for different question types. What type of student is most likely to benefit from taking a Magoosh course? Magoosh’s LSAT prep course is best suited for students who want flexibility in their test prep program and are self-motivated. Our course aims to provide students with the tools they need to customize a study plan and then complete it at their own pace. We’ll help make that process as easy as possible by offering sample study schedules, continually updated lessons and practice problems, and a team of incredibly devoted online coaches ready to help students with any of their questions. For full-time students or those with careers, our course can completely remove the stress of cramming a test prep program into their schedule. Furthermore, the course is priced so reasonably that it’s a great option for those who are looking to test the waters but aren’t yet fully committed to the idea of law school. 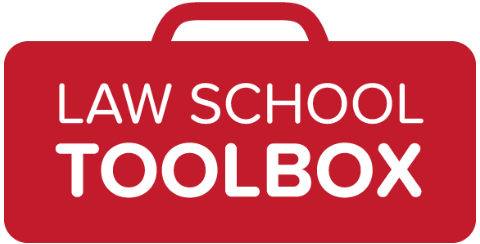 Before committing hundreds (or even thousands) of dollars, students can use Magoosh LSAT prep to learn the basics, set a realistic personal goal for the exam, and then figure out which law schools are in reach for them. Online test prep is, in general, not the best option for those who require a lot of structure and oversight. While we do track students’ usage of the product and get in touch if we think someone needs help using the product more effectively, we aren’t checking homework or scheduling live lessons that require commitment in advance. This means it will be less effective for those that require supervision to stay on track. If that’s you, I’d recommend signing up for an in-person course or for a tutor. It costs more, but it removes stress and anxiety for those who struggle with self-discipline. Assess your learning style first. If you learn by interacting with others, an in-person course might be best. If you learn from listening and doing, online prep might be a better option. Next, think about how much time you’re willing to devote to your prep. Some courses are known for being extremely time-consuming, which works great for some and terribly for others. If you’re planning to devote about 3-4 hours a week to LSAT prep, you will likely be irritated and stressed out by a course demanding 12 hours per week. In other words, look for flexibility so that you can make the course fit your needs rather than vice versa. Lastly, think about cost. Magoosh LSAT prep is probably the lowest cost option out there, and that’s great for a lot of people. It provides an affordable entry point that will be sufficient for many people. For others, it might just be a starting point, and they’ll eventually use many different tools to prepare for the exam. For still others, spending more up front helps them make test prep a priority, and that’s a wise choice for people who need the extra motivation. If you study the right way, your first LSAT administration will also be your last! We recommend between 2 and 4 months of intense preparation: 20-30 hour a week. It’s a bit wider of a range than we wanted to give, but each student is so different that there’s no cookie cutter answer. Yes it can be done on top of school and work. If you have a pretty full plate, plan on being closer to the 4 months of prep mark instead of 2. We typically recommend starting 3-6 months before the target test date. That way, LSAT prep can be done on top of any other commitments, whereas it might be all-consuming if you choose to begin a month or two in advance. Given plenty of time, our philosophy is that LSAT prep should feel like building habits rather than cramming for a final. Routine and consistency are more important than the sheer number of hours committed. With that in mind, a good estimate might be to spend about an hour day, 4-5 times per week. 3. stick to that strategy. The first tip is the one most frequently overlooked. Understanding what scores mean on the LSAT will help students choose goals that truly represent their potential. Look for a goal that would make you feel proud of yourself in relation to where you started, rather than one based on the schools you think you deserve to go to. Then, build a step by step approach to get there. It should incorporate three elements: occasional practice tests, regular timed practice sections, and regular untimed studying. The untimed studying is used to focus on specific question types or skills you haven’t yet mastered. The timed practice sections are to execute strategies and incorporate new knowledge you’ve gained during your untimed studying. The practice tests are to assess how far you’ve progressed and determine where any remaining weaknesses lie. Finally, stick to the strategy. You might progress more slowly than expected, which means you’ll need to add a little time to your schedule and possibly postpone your test date. That’s normal. If you reach your goal ahead of schedule, congratulations! Now set a new goal and build a new plan. No matter what, don’t let doubt or over-confidence derail your preparation the first time around. People make breakthroughs at all different stages of prep. We’ve had students gain 10 points in the first week, and we’ve had students see no gains until their last practice test when everything finally clicked. So, make no assumptions, continue moving forward, and when in doubt, ask for help! Like Magoosh on Facebook or follow on Twitter @Magoosh. Or check out all of our LSAT interviews here: LSAT Prep Options & Advice. Are you on our free weekly mailing list? No?!? You probably want to correct that right away. Have questions about the LSAT or Magoosh? Leave them in the comments!